This is one of our favourite resources! After using this method of learning in maths, we thought it would be great to include this method of teaching in phonics! 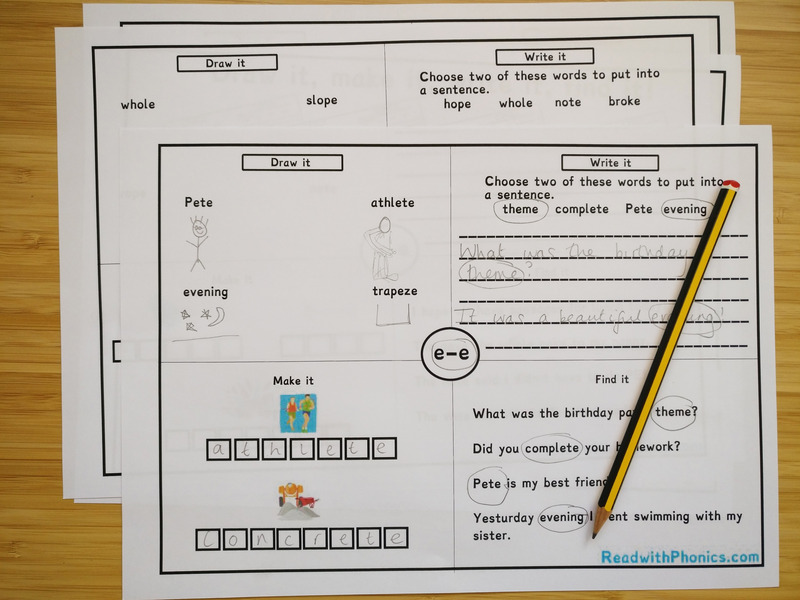 Each of the 4 sections of the page gives students a different phonics skill to work on: draw the picture that matches with the sound, make the word that matches with the sound, write a sentence using the target words and find the target sound in the sentences. Our Draw it, Make it, Write it, Find it activities cover simple letter sounds, two letter digraphs and three letter trigraphs. They cover phases 2-5 of letters and sounds. 20+ pages of Draw it, Make it, Write it, Find it, covering simple letter sounds to trickier three letter sounds. Each page has 4 sections. 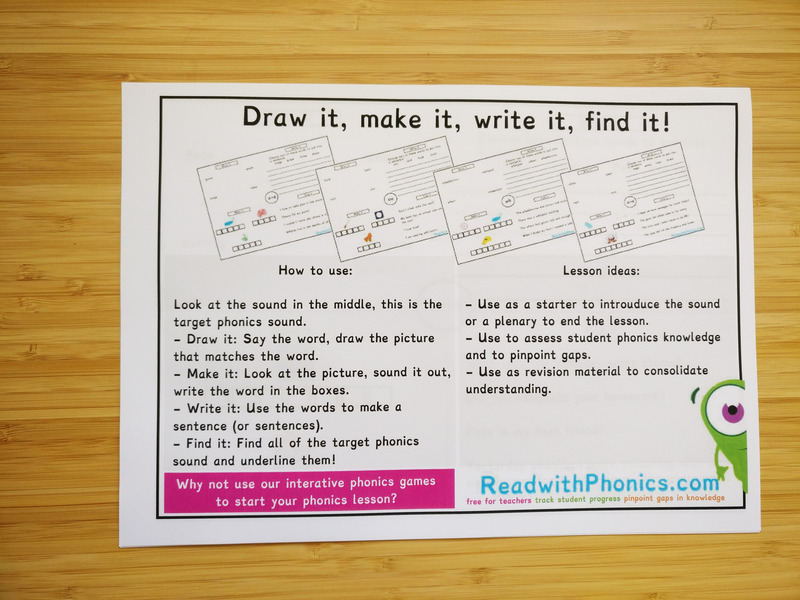 Draw it, Make it, Write it, Find it is designed to work on different building block skills of phonics. I use these resources to consolidate learnt sounds and to pinpoint student gaps in knowledge.